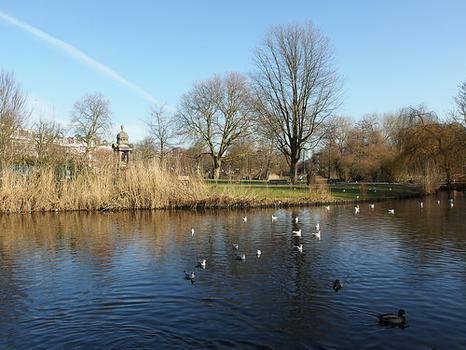 The Sarphatipark in De Pijp is a variety park where locals picnic and sunbathe in the summer. The Sarphatipark in De Pijp is a variety park where locals picnic and sunbathe in the summer. Named after Jewish doctor Samuel Sarphati, the park has a Sarphati memorial with a fountain and gargoyles.